Photon Lines and many of its partners exhibited products at a highly successful ELMI meeting held in University College Dublin recently. In addition to the company having a stand featuring pco and Imagine Optic, Abberior Instruments held workshops throughout the duration of the conference, and Argolight, Confocal.NL, Omicron Laserage and Tokai Hit also numbered amongst the exhibitors. 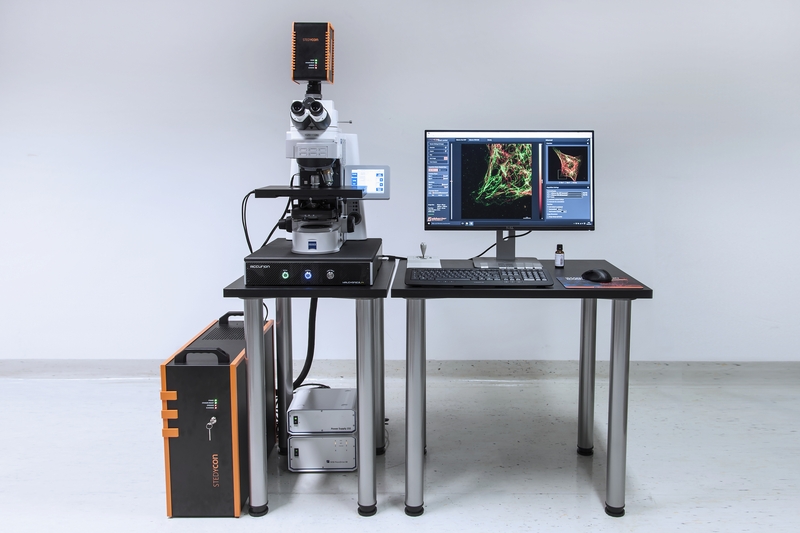 Building upon already strong foundations, Photon Lines recently added Abberior Instruments and Tokai Hit to its extensive range of advanced light microscopy products. Tokai Hit from Japan has a long history of manufacturing stage top incubators for live cell imaging. The incubators, which have a compact body, can be placed on any microscope stage. Through the innovative design the incubators are easy to handle and offer maximum flexibility, optimised for a multi user microscope system. 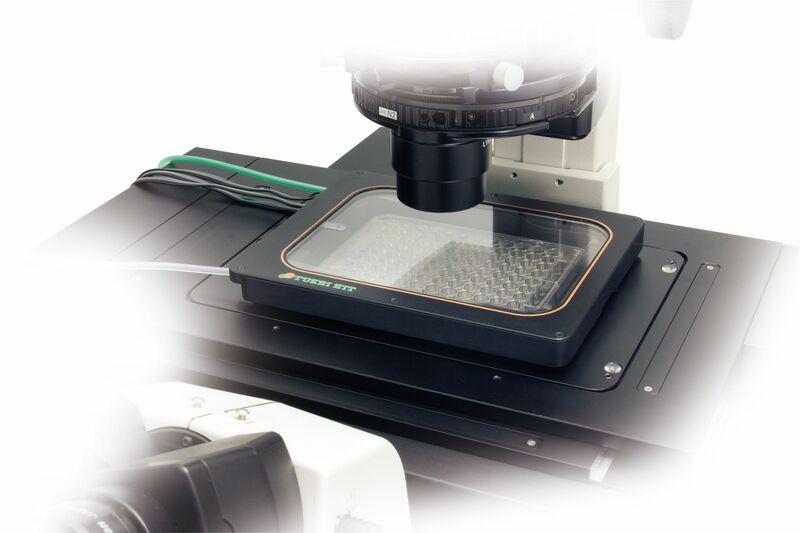 The large, clear glass top heater provides uniform temperature distribution, preventing condensation for clearer imaging and wider vision regardless of the type of slide or multi well plate. The chambers can accurately control temperature, CO2 and humidity for long-term time-lapse imaging of living cells and tissues. Additional perfusion solutions can handle media exchange and drug delivery to provide a perfectly stable environment for the cells during the entire experiment, from a few hours up to more than two weeks. Abberior Instruments is a spin-off from the Max Planck Institute of Biophysical Chemistry in Göttingen and the German Cancer Research Institute in Heidelberg. The group, famous for winning the 2014 Nobel Prize in Chemistry, are the inventors of STED (Stimulated Emission Depletion Microscopy) - a super-resolution technique that resolves adjacent objects beyond the diffraction barrier of visible light. In a STED microscope two laser beams scan over the sample: a beam for exciting molecules is overlaid with a doughnut-shaped beam to turn the molecules off via stimulated emission. Only in the dark centre of the doughnut the molecules spontaneously emit photons, leading to a reduced volume from which fluorescence is collected. Depending on the power of the STED laser beam, the resolution can be tuned between 20-200 nm to fit the researchers’ needs. By moving the excitation beam and co-aligned STED beam across the specimen a super-resolution image is acquired. The most impressive difference between “traditional” STED systems and the new STEDYCON add-on is the ease with which it can be set up and operated in minutes, straight out of the box. Photon Lines offers a wide range of microscopy products, including laser and LED combiners with up to six wavelengths, scientific cameras including uncooled back illuminated sCMOS, stage top incubators for live cell imaging, microscope add-ons including confocal, adaptive optics STED/Confocal, and FLIM. The company supports these by providing demonstrations and loans, and advice from product specialists. It will be arranging workshops and demonstrations of the STEDYCON system in the UK over the coming months in partnership with Abberior Instruments.